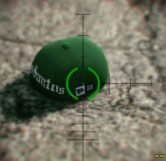 This easter egg is probably one of the most fitting in GTA history, making a great callback to previous Grand Theft Auto super star, San Andreas. 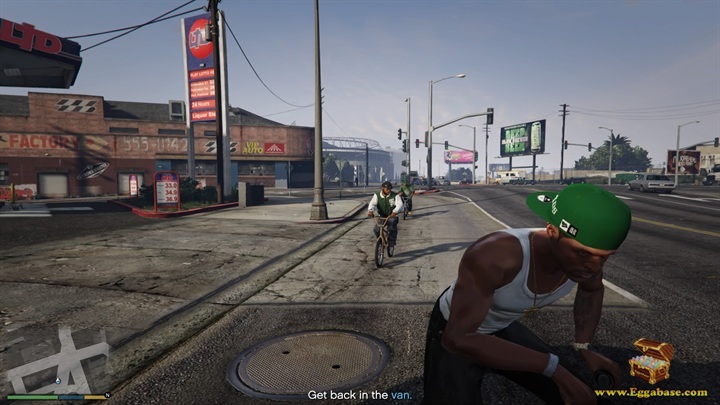 After beginning the Hood Safari mission players will be instructed to load Franklin, Lamar, Trevor and Chop into Lamars white van and then drive to Grove Street for a drug deal. 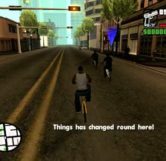 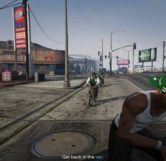 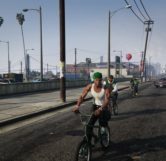 Once you begin to approach Grove Street players will see a group of people on bicycles riding away from the Grove Street circle. 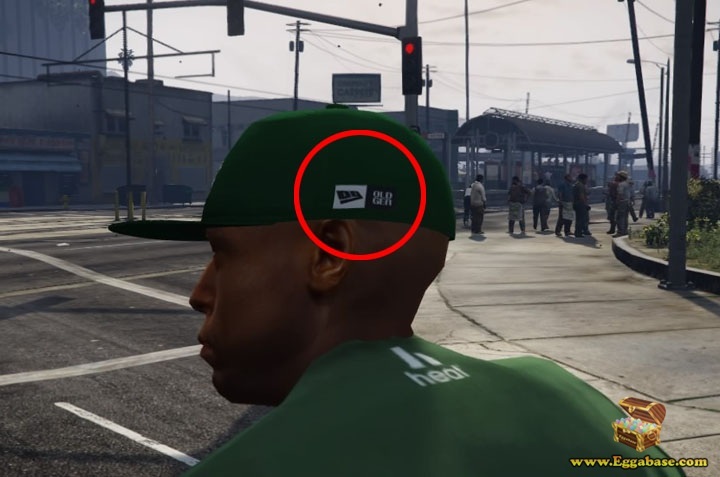 But who are those people? 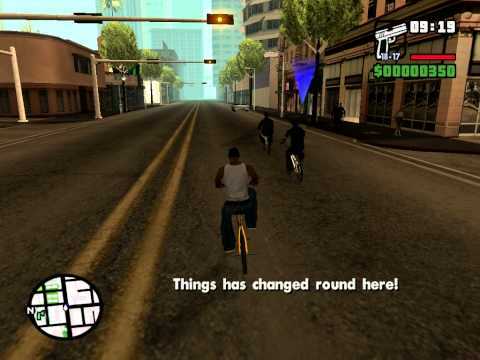 CJ, Ryder and Big Smoke from Grand Theft Auto: San Andreas. 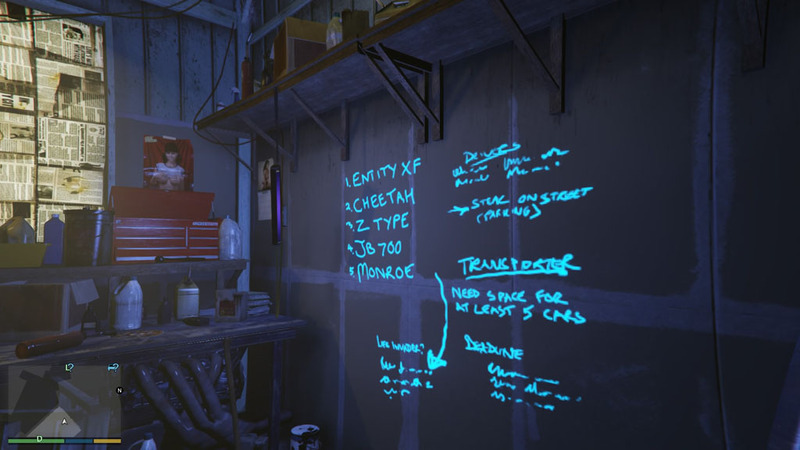 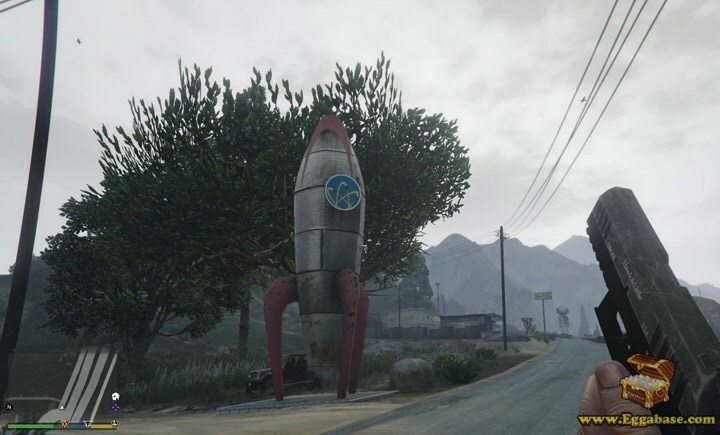 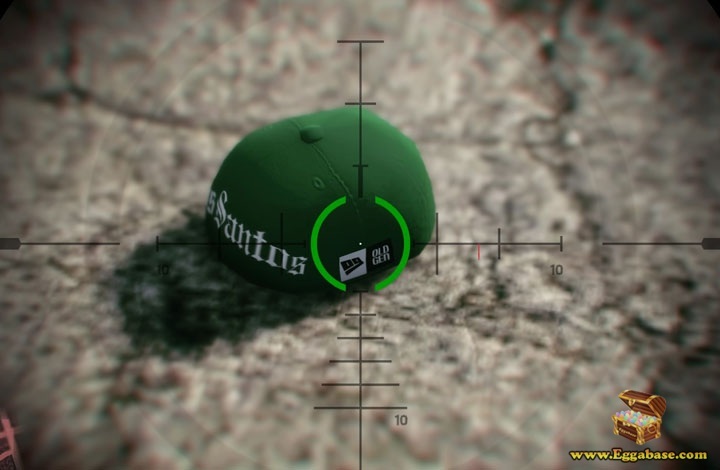 The easter egg refers to, as San Andreas fans will remember, the second San Andreas mission, “Sweet and Kendl” where Cj, Big Smoke, Ryder and Sweet are being chased by a group of Ballas after CJ and Sweets’ mothers funeral. 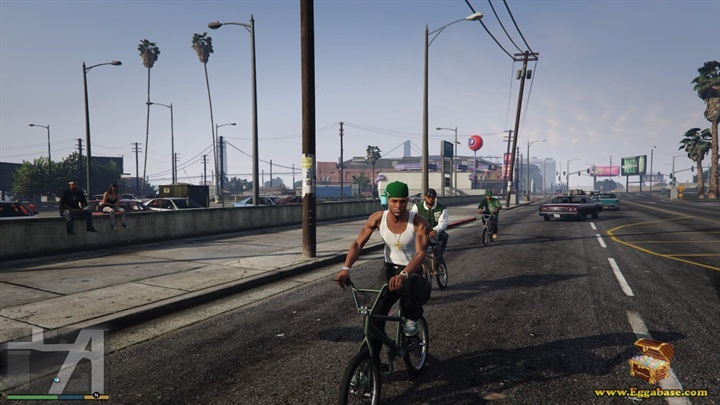 Sweet tells the group that they should split up and he leads the Ballas away while CJ, Big Smoke and Ryder ride back to Grove Street safely. 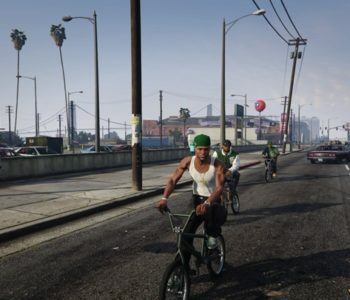 Another reference point for this easter egg is the fact that the lead cyclist is seen wearing a white tank top similar to CJ’s when you first start GTA: San Andreas. 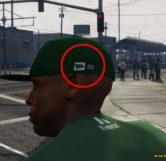 Aside from that all 3 cyclists are also wearing green Los Santos hats with Old Gen sewn on the side to represent them being Original grove street Gangsters from the Old Generation of Grand Theft Auto games (the 3D universe). 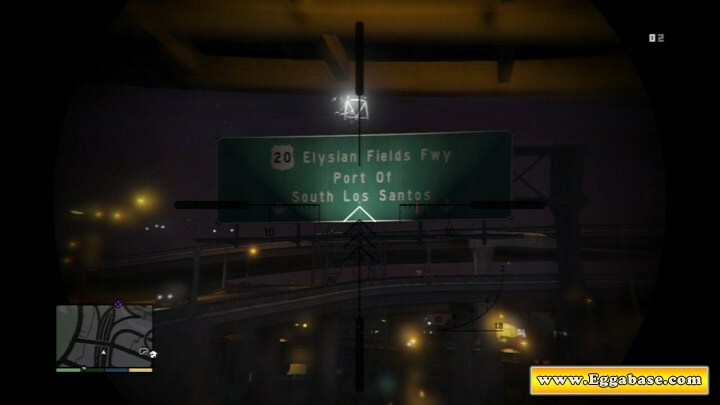 Seeing as how Hood Safari is the first and last mission that takes you back to Grove Street, it’s only fitting that Rockstar would have the original GSF welcome you back to San Andreas after all these years. 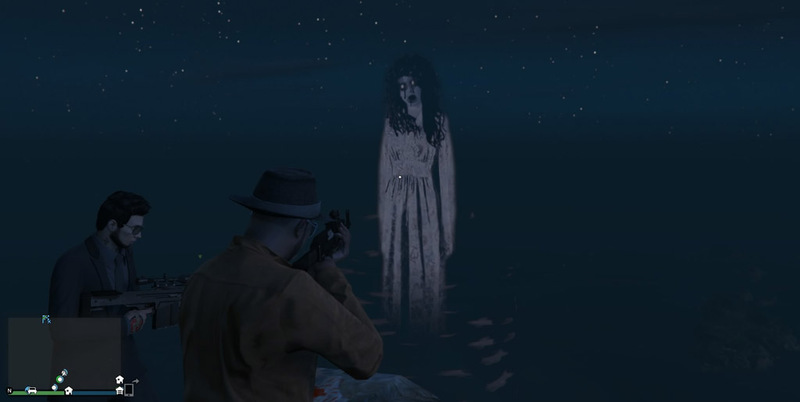 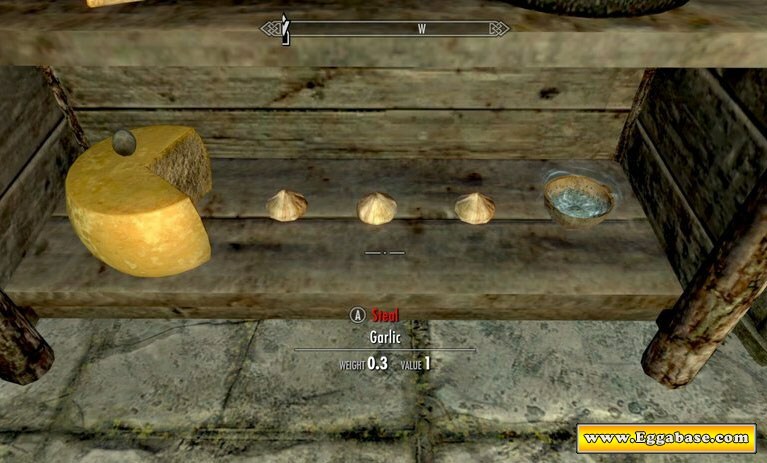 Rating: 9.6/10. 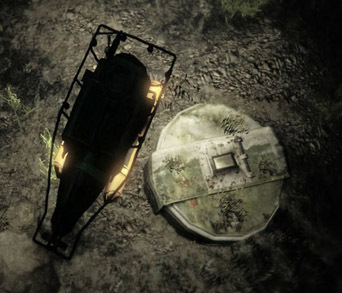 From 16 votes.